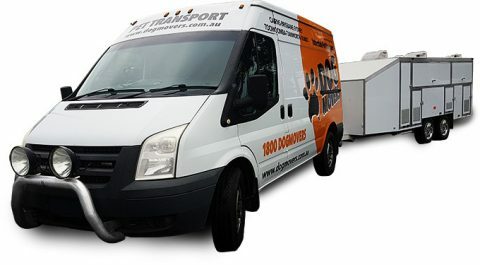 Dogmovers are based in South East QLD and we have regularly scheduled interstate Pet Transport services throughout the Eastern States of Australia from Melbourne to Cairns. Most of our routes are covered weekly with trips between the major cities generally being overnight services. We operate our services similarly to an interstate Bus Service, collecting from a central meeting point in most towns on our routes and prices are based on meeting clients at these points. We will happily stop at other points along the main routes at no extra charge if required. However we do charge extra if we are required to do door to door pickups or deliveries in town or off the main route in regional areas. All of our runs cover set routes and times to provide our customers with regularity and reliability. We have a trip each week from Melbourne & Central Victoria to Sydney via the NSW Riverina & Canberra. We then have multiple services each week from Sydney through northern NSW, via the Pacific & New England highways, to Brisbane & South East QLD. Plus a linking service up the QLD coast, via the Bruce Hwy as far as Townsville. Additionally to the above weekly services the Queensland run is expanded to include Central Queensland as well as running further north, up to Cairns and we head further out into Northern NSW via Dubbo, the Central West and the Northern Newell Highway region.